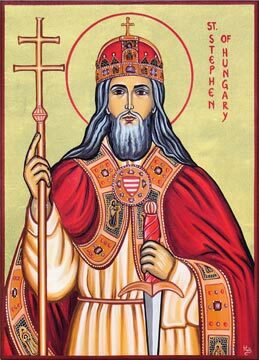 There will be a procession in honor of the Kingship of Christ on Sunday October 30th after the 10:15am Mass. There will be a sung Mass at 7pm on both the feasts of All Saints (November 1st) and All Souls (November 2nd). Thank you for your continued prayers for Fr. Calvin Goodwin, FSSP. He seems to be moving past the stage of possible imminent death and toward the long road to recovery. I will be returning to Maine for the next three days. 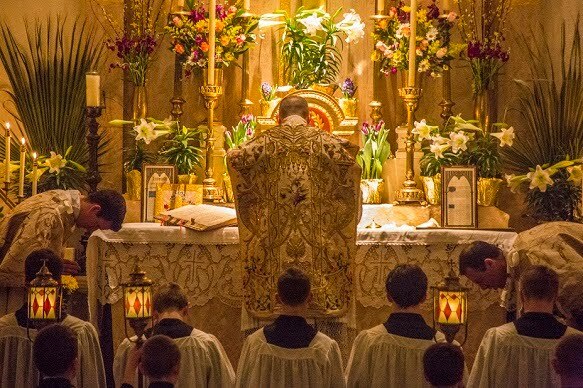 Thus, there will be no daily Mass here Monday through Wednesday this week. Please see the back bulletin for a part time job position that is avilable in the area. There are FSSP liturgical calendars on sale in the basement. The ushers will be counting the number of people at the Masses this week and next for the diocesan census. Please remember the All Saints Day part next Sunday. It will take place at the DeMasters' farm.